Well Brian B, this is your cake! 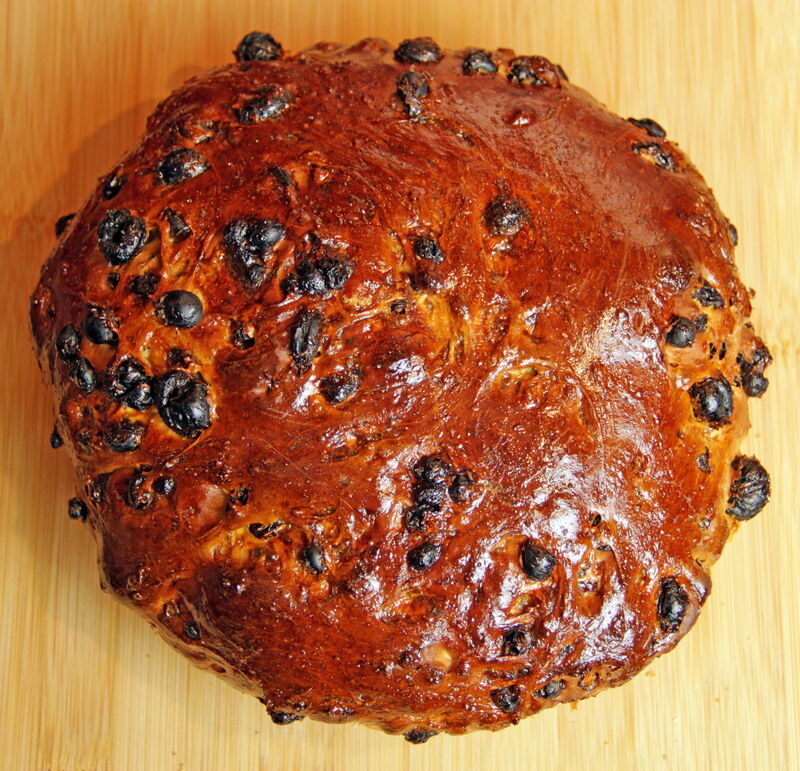 Since I couldn’t think of anything new, I fell back to something old – Barm Brack – a colorful fruit-filled yeast cake traditionally baked at Halloween. It is customary to hide small metal charms in the brack. A coin means wealth in the coming year; a ring foretells upcoming nuptials; a thimble signifies spinsterhood; and a piece of cloth indicates poverty. If you plan to bake anything into your cake (I did not), be sure to wrap the tokens in large pieces of foil, forewarn anyone having a slice, and do not serve to young children or people with dental problems! 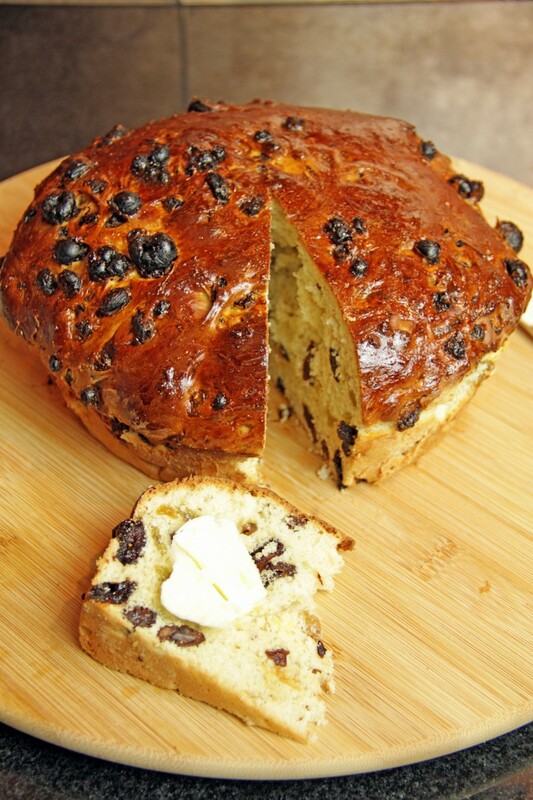 The word “brack” stems from the Irish “breac”, or speckled, due to the dried fruit strewn throughout the cake. The word “barm” means yeast. 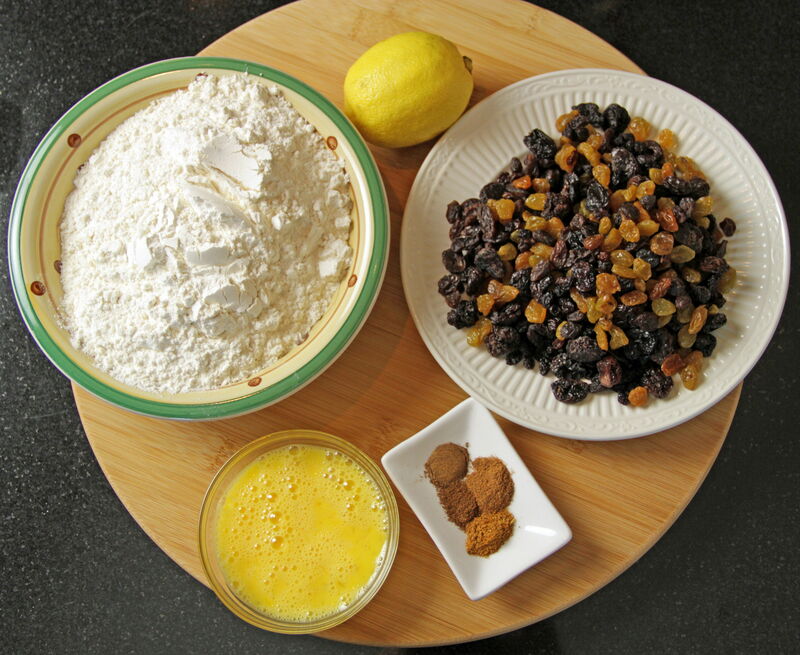 Most barm brack recipes call for candied fruit peel in addition to dried fruit, but in this version I used a combination of currants, dark and golden raisins, and dried sweet cherries. Some people also like to soak the dried fruit in tea, cider or whiskey overnight before baking for intense flavors and to add moisture to the cake. So feel free to experiment. Bake your brack the night before, then slice, toast and butter it for a Halloween morn breakfast in bed. Add milk to small, heavy saucepan and place on stove over medium heat. Allow to heat, without stirring, until tiny ripples begin to form across the surface of the milk (scalded milk). Remove milk from heat and add butter, brown sugar and salt. 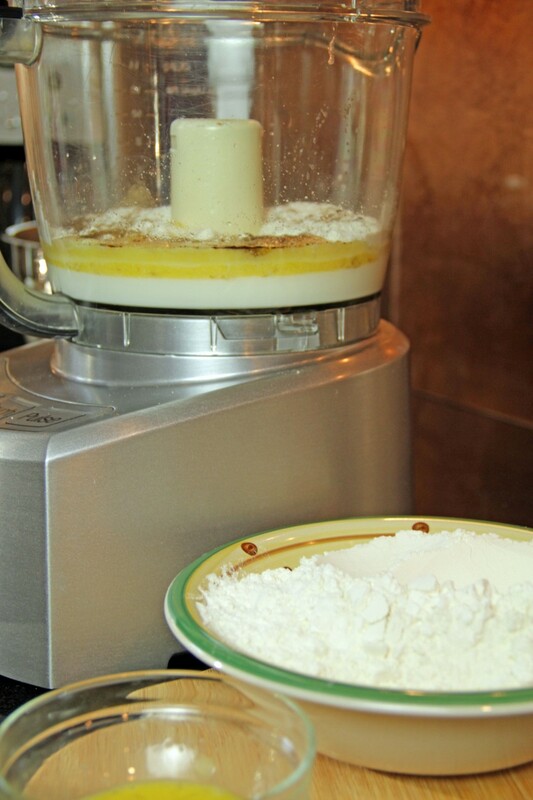 Pour milk mixture into food processer. Allow to cool until tepid, then sprinkle yeast lightly and evenly across surface. Let yeast rest about 10 minutes, until it begins to activate and resembles wet sand. Add 1 cup of flour, spices, and most of beaten eggs, retaining about 1 tablespoon of eggs to glaze the cake before baking. Gently pulse the food processer, adding flour about 1 cup at a time, until dough is compressed and begins to pull away from side of bowl. 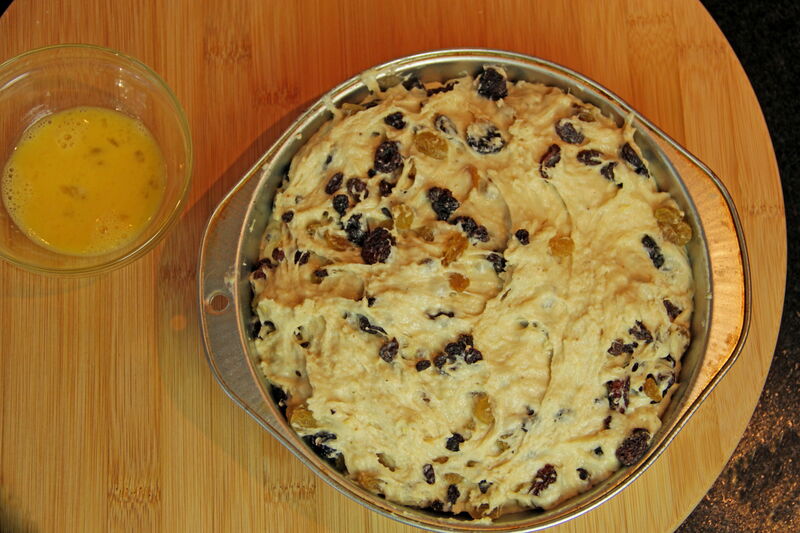 Stir in the dried fruit and lemon rind. Transfer to a well-greased 8-inch round cake pan. Cover with a light tea towel and set in warm, non-drafty place to rise. Let dough rise for about one hour, until doubled in size. Fifteen minutes prior to baking, preheat the oven to 400°. 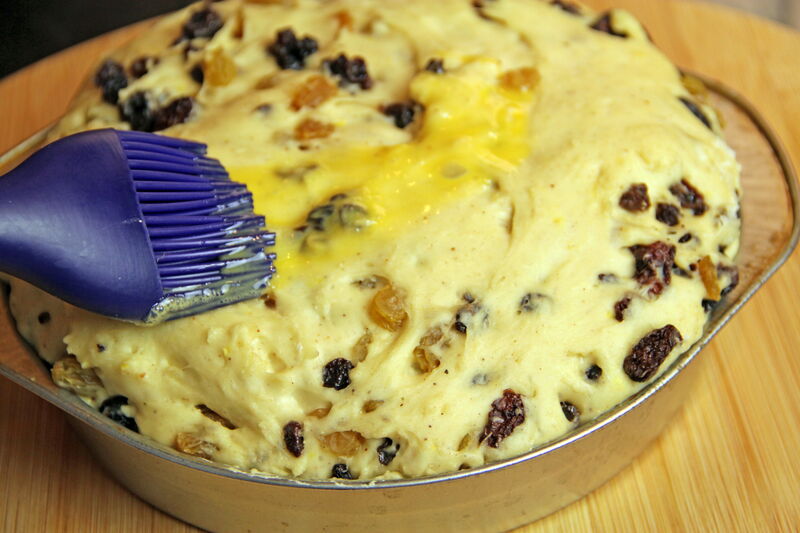 Brush the top of the barm brack with remaining beaten egg. Bake 30 to 40 minutes until golden and a toothpick inserted into the center comes out clean. Serve warm with butter. NOTE: If adding charms, wrap them in foil and push them into the dough after mixing in fruit, but before dough is set to rise. Halloween is just a few days away! I don’t have much time left to share fabulous spooky stories with you! This one is something of a classic, though if you’re anything like me you have only been exposed to the movie version, starring Jonathan Price and some other non-Jonathan Price people. Oh, and Pam Grier. Pam Grier is in it! Well, the movie is fantastic and is a staple of my Halloween viewing schedule. But recently I began reading Ray Bradbury’s short stories, as beautifully written as they are at times bizarre. 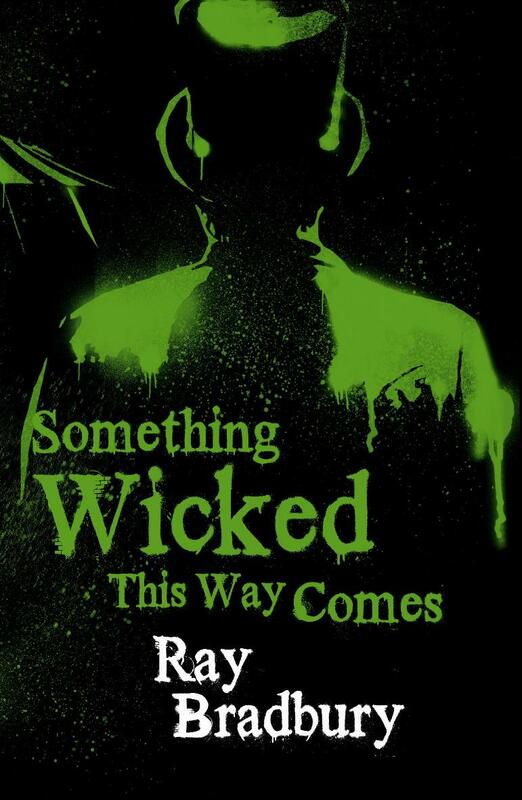 Something Wicked This Way Comes was written in 1962 and takes on all the styles Bradbury does best: eliciting the feelings of childhood with eerie accuracy; taking on themes of darkness and creepy things; and talking about the autumn. Jim Nightshade and William Halloway are best friends barely thirteen years old. When a mysterious carnival comes into town in the dark of night, letting fly an eerie whistle, the boys are excited and scared. There is something wrong about this carnival and cautious Will is worried but won’t let that stop him from following devil-may-care Jim to whatever lays ahead. Cooger & Dark’s Pandemonium Show, as the carnival is called, holds dark secrets that will test the boys as they discover what these attractions are doing to the unwitting adults of the town. Gorgeously written and both scary and moving, this story of children growing into adulthood and dark and mysterious forces is a must-read any time of year, but especially at Halloween, which I’m pretty sure was Bradbury’s favorite time of year. As a lover of the season of Halloween, our family is always on the hunt for fun, spooky movies. The problem is they have to be bearable for an easily frightened (but VERY arbitrarily frightened) seven-year-old. So we decided to dust off our copy of the 1949 Disney classic interpretation of “The Legend of Sleepy Hollow” by Washington Irving. Inexplicably, Disney packaged it with “The Adventures of Mr. Toad” which is based on The Wind in the Willows which is rather un-spooky. So the first forty minutes of this movie I was begging my kid to let me skip ahead. But he wouldn’t relent. It wasn’t awful; it just wasn’t what I had come here to watch. My kid loved it. Mr. Toad gets himself into some trouble and his sprawling estate is given over to the criminal weasel gang and Mr. Toad is imprisoned. Conspiracies are uncovered and Toad and his friends fight to right the wrongs done to him. Somehow all of this must relate to the ride at Disneyland, Mr. Toad’s Wild Ride. What that relationship is, I do not know. Then, quite suddenly, we are transported from 1908 England to upstate New York in 1790. We all know Ichabod Crane: the gangly, food-obsessed new schoolteacher in Sleepy Hollow. Ichabod is in love with the lovely Katrina. So is Brom. After many thwarted attempts to garner her attention away from Ichabod, Brom hatches a plan. 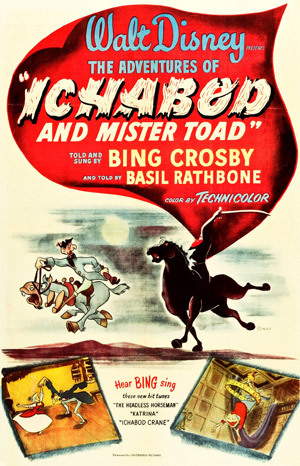 Knowing that Ichabod is a highly superstitious man, he tells a terrifying story about the legend of the Headless Horseman who roams the land searching for his head. Ichabod is frightened and on his way home sees shapes and hears eerie sounds in everything. Suddenly, a figure on a horse rears up before him! It’s the Headless Horseman! A frightening chase ensues. The next day, all they find is a smashed pumpkin and Ichabod’s hat. He is never seen in Sleepy Hollow again. Pretty darned harmless cartoon, only about 2o minutes long, this Halloween classic is sure to provide chills to kids without much worry for nightmares. They can watch it while the grown-ups finish the half-gutted pumpkins! Is your bedroom harmonious? Does it encourage positive energy? If where you sleep doesn’t attract, calm, and thrill you at the same time, you might need to rethink some of the design details. From the floor plan to your furnishings as well the way in which you use the space, each element contributes to the overall feel and panache. 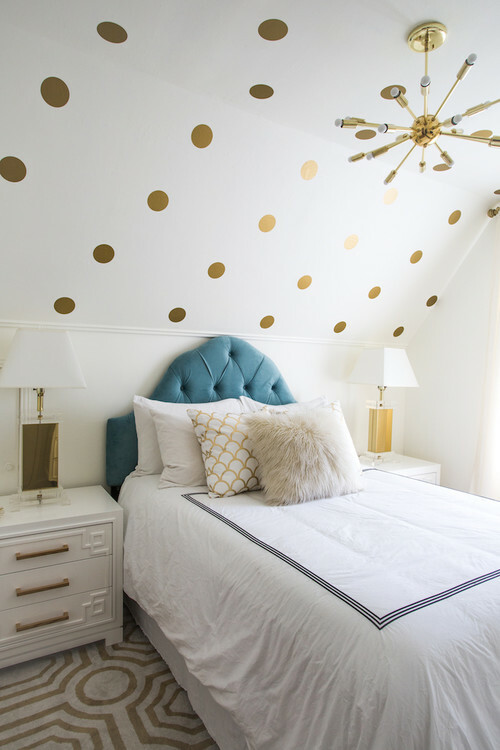 Feng shui –– an ancient art developed several thousand years ago in China –– may be what your bedroom needs to balance energy and keep you happy, relaxed, and sleeping soundly night after night. 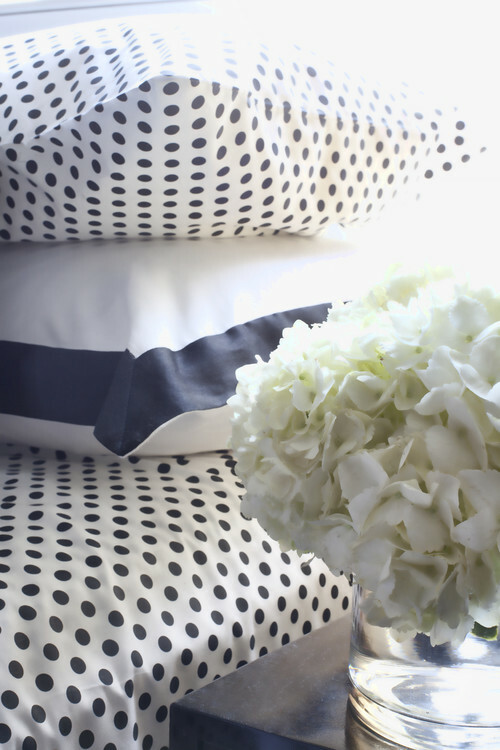 Read on for six practical feng shui tips that come in handy for your bedroom. 1. Allow fresh air into your sleep space. Open windows if possible, and if you can’t, consider an air purifier to eliminate pollutants and cleanse the air you breathe. Save the television and computer for other areas of your home, leaving the bedroom for sleeping only. With the same idea in mind as electronics, keep exercise equipment and exercising limited to another room. Use a guest room, garage, or join a gym instead of exercising at home. 4. Place the bed correctly in the room. You should have access to both sides of the bed, and the bed shouldn’t be placed directly in front of the door unless there’s no other option. Go with two bedside tables or nightstands –– one on either side of the bed. 5. Keep lights on a dimmer. Control the level of light in your space. You should have the option of bright light as needed, but otherwise, keep the light on the dimmer side for a feeling of intimacy. Use candles to create soft, mood lighting. Choose photos and art pieces that represent positive occurrences and happenings you dream about for your own life. Uplifting artwork will nourish and help maintain positive energy.